Hello everybody! I live in France and I teach in a junior high school (10 - 15 years old pupils). 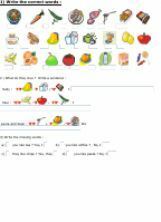 I needed a worksheet showing on one page all the main fruit, vegetables, drinks... so I created this worksheet. Key at the end. It´s totally editable. 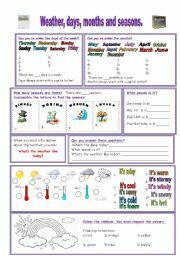 A very easy worksheet to help young pupils remember the days, months, seasons and weather vocabulary. A lesson, 2 games nd the key. 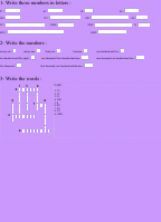 This is my last worksheet on numbers : ordinal numbers. 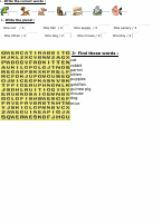 There are numbers to write in letters, wordsearch to practice spelling, dates to write... 2 pages + key on p 3. 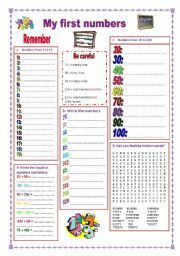 A worksheet to teach numbers from 1 to 999 ( numbers to write in letters, hidden words, numbers to add). Activities on 2 pages, key on page 3. 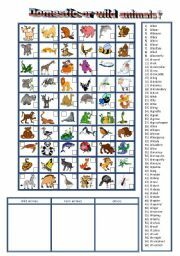 A worksheet to teach the names of 60 main animals and a chart to classify them. Key at the end. Thanks to Philip Martin for his cliparts. 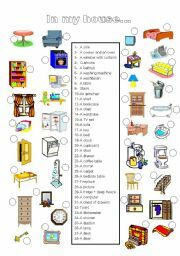 A worksheet to teach the main pieces of furniture in a house. Black and white worksheet included. A worksheet to teach the different shops and places our pupils can see in their town. Then, a town map to practice opposite / next to/ on the right ... and there is / are. 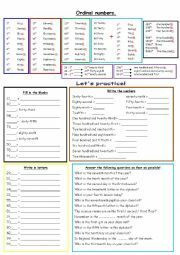 A worksheet to teach and practice ordinal numbers. Several tasks. 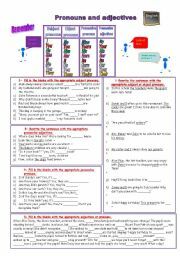 A progressive worksheet to practice the different pronouns and adjectives. Key at the end. to teach and practice ordinal numbers. Key included. The last pwp in my series of 4. To practice past simple with regular and irregular verbs in affirmative, negative and question sentences. Thanks to Philip Martin for his cliparts. A pwp to teach the names of countries and nationalities. Thanks to Philip Martin for all his cliparts. 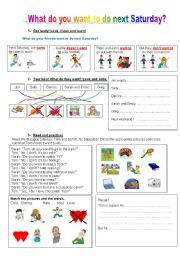 A pwp to practice past simple with irregular verbs (part 1) Thanks to Philip Martin for his cliparts. 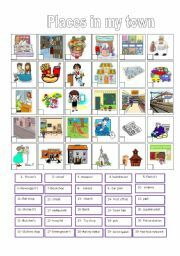 A pwp to practice past simple with irregular verbs (part 2) Thanks to Philip Martin for his cliparts. A game to check if the pupils can recognize numbers from 1 to 20 and the correct spelling. 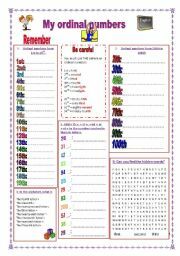 A pwp to teach numbers from 1 to 9,999 or to refresh pupils´ memory. Many activities (with key). A complement to my worksheet: http://www.eslprintables.com/printable.asp?id=654494#thetop thanks to Philip Martin for his cliparts. A pwp to teach "will". Thanks to Philip Martin for all his great cliparts. A basic pwp to teach the main health problems. Thanks to Philip Martin for his great cliparts. 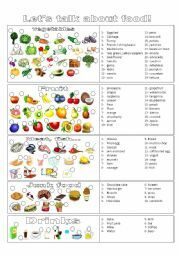 Very simple activities to practice food and write about tastes. 3 exercices to practice numbers. Very easy activities to learn pets and practice basic plurals.